A Time To Live: Clara Emmanuel was born November 20, 1945, on the island of Salina Point Acklins to Effie Emmanuel. At an early age she moved to Nassau to obtain an education and became actively involved in church. It was then she became a champion and prayer warrior for God, getting involved in Sunday school, youth groups, and Street meetings was her passion. Life was not easy, as she was a struggling single parent of two boys Anthony and Antonio (whom she called Tony). She provided her children with the best as she was persistent about serving God. This was her refuge; She was a bold Soldier and enjoyed singing and preaching the gospel. She worked as a CNA and loved helped the less fortunate and could work wonders with her hands. 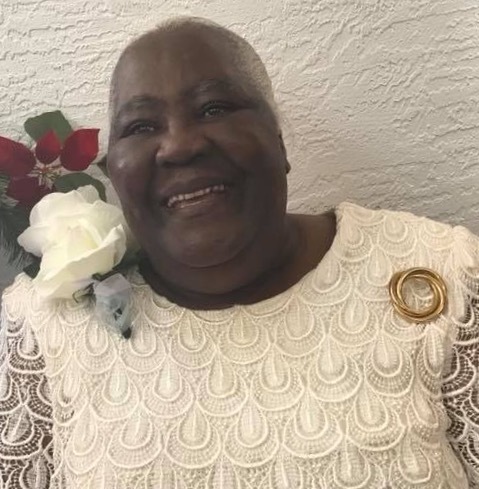 A Time To Die Clara Susan Emmanuel affectionately known as Clara or Star went home to be with her Lord and Saviour May 14, 2018 in Bradenton, Florida. She is preceded in death by her Mother Minister Effie Emmanuel Braynen; Stepfather Arthur Braynen; Son Anthony Rolle; Brothers Joseph Mcfall, Micheal, Andrew, and Arthur Jr; and Sister Yvonne Braynen. Clara leaves cherished memories with her Son Antonio (Lautrice) DeVeaux; Grandchildren Antonio Jr., Jada and Sheray McArthur; Brothers Vernal Mcfall, Godfrey Richard, and Joshua Braynen; Sisters Barbara Merilyn Braynen, Angela Brennen, Yvette Ward and Nancy Rigby. Sister in law Janet Iceland Valderine . Brother in law Milton Ward III; Aunt Francis Emmanuel. Neices Vandoren, Shequeba, Laquesha, Alicia, Melissa and Minique Mcfall, Tanel Deondra Braynen, Tina Brennen and Janae Rolle; Nephews Milton Kai Ward IV, Rayshard Alex Gibson, Javal Ramon, Isiah Omar, Richard Jr., and Corey Braynen, Jerimy and Andrew Brennen, Joseph Jr. and Marco Mcfall, Youshiquo Gilbert, Marvin Emmanuel, Prisca Pull, Delvin Rigby Shandesha; and a host of loving friends extended relatives; Special Friends Minister Rosemary Adderley, Buddy Rita Jackson, Maria Woodside, Mother Lavern Scavella, Gia and Iva Roberts and Yvonne Deveaux, Pastors Leroy and Miriam Emmanuel, Allan Emmanuel, Manwella Simms, Lillymae Christine and the rest of the Johnson family, Kim Wallace, Victor Cooper, Mericieanna Moxey, Carolyn Seymour, Gwendolyn Brice Sealy, Great Jehovah Prayer Band her Cher members, St Anne's Church family and Special thanks go to Omar and Omarri Braynen and Rosalyn Braynen, Bishop Derek Woodside and Pastor Scavella and family. Visitation will be held 2-3pm with Funeral immediately following both at Community Outreach Word of Deliverance Ministry Inc. 650 27th Street East Bradenton, Florida 34208.